Not a great day for Long Island Sound. 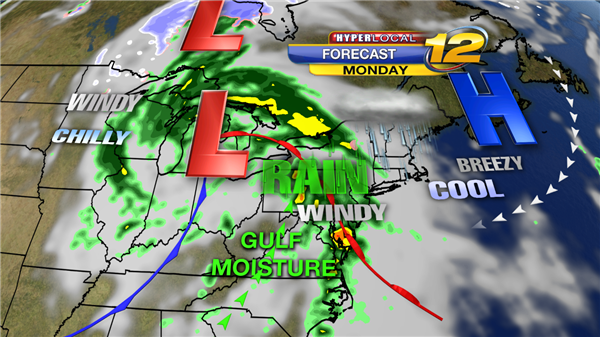 Get ready for a wet, cool and windy Monday. Periods of steady light rain during the mid-morning hours. Periods of heavy rain during the late morning / early afternoon hours. Pockets of moderate rain during the late afternoon / early evening hours. Another round of light rain late Monday night. We could get 1 to 2 inches of much needed rain by Tuesday morning, followed by drier and eventually cooler weather for the rest of the week. 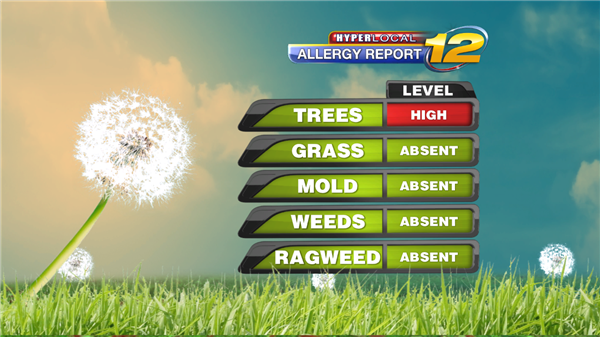 Tree pollen levels will remain high until Monday. 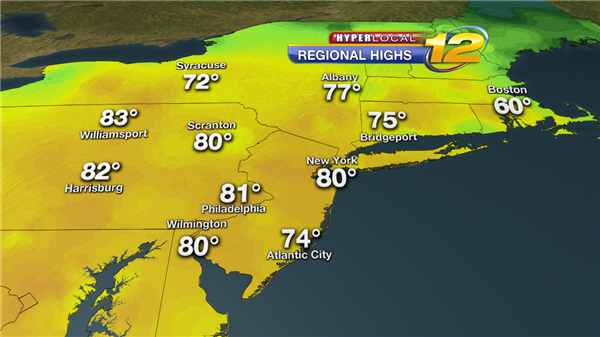 Temperatures were well above average for most of the region. 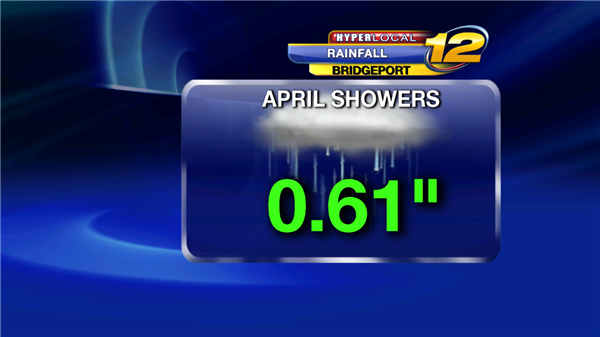 So far it's been a dry month as we are about 2 inches below our average rainfall for the month. 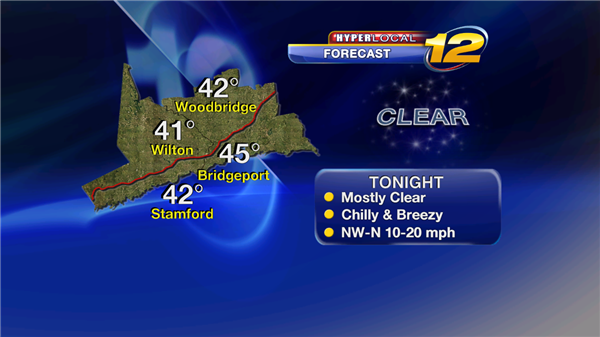 Another chilly night for SW Connecticut. 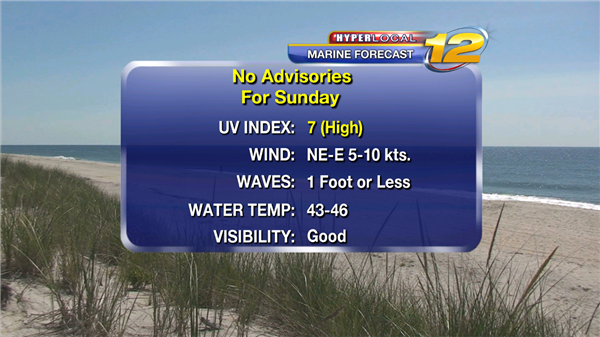 Sunday looks like a nice day for a walk along Long Island Sound. 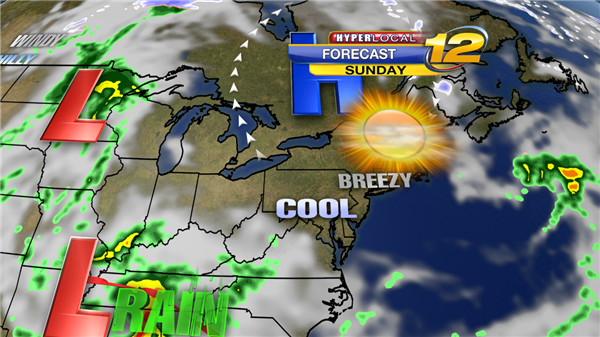 Much cooler, but still pleasant weather for Sunday. Get ready for some much need rain Monday. 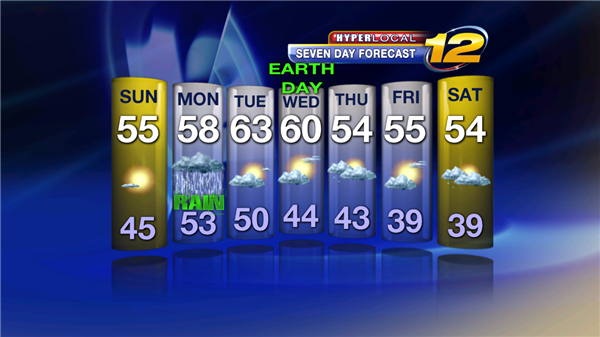 Other than the potential for heavy rain Monday, we will have mainly dry weather for next week. 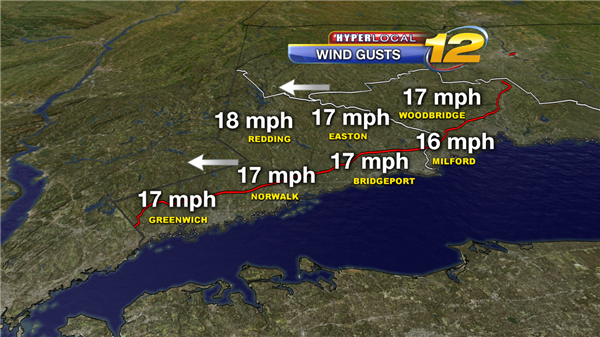 Winds are coming from the east and will shift to a southerly wind as rain approaches tomorrow. 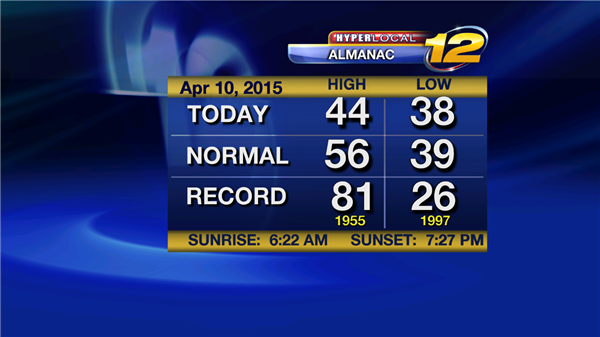 It's another great day with cooler temperatures than yesterday. Clouds will slowly move in this evening with some April showers on the way tomorrow. As winds shift, tomorrow will be a cooler day. Then it warms up gradually for the weekend. 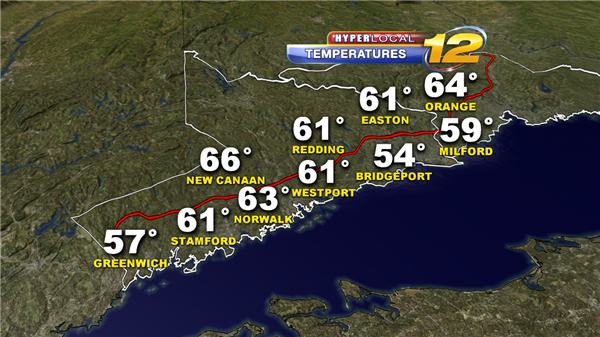 The warmest temperatures across the region are right here in SW Connecticut this afternoon. Enjoy! It's still cloudy but temperatures are nice and comfortable again this afternoon. 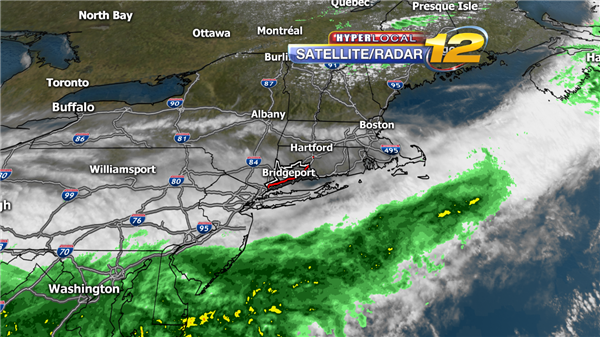 The rain is far to the south and will continue moving away. Our next chance of rain will be Friday and will be very spotty. Pleasant weather continues through the evening. Showers are in the forecast for tomorrow morning. 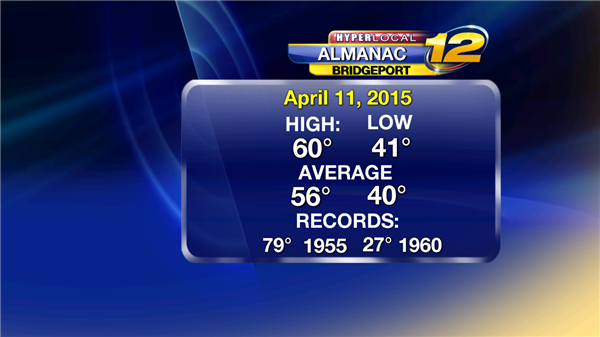 Temperatures were 1 degree below average at Bridgeport. 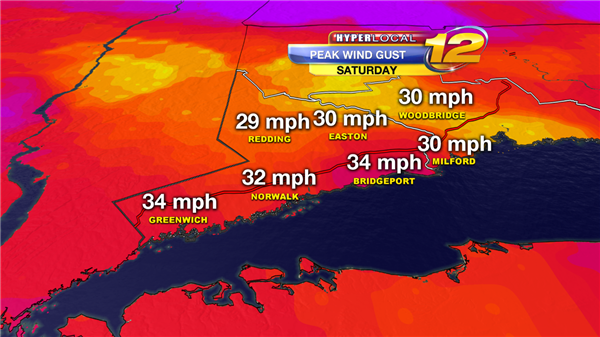 Winds were less active than Saturday. Not as chilly as last night. Winds will pick-up during Monday afternoon, however, it will still be a nice days along Long Island Sound. 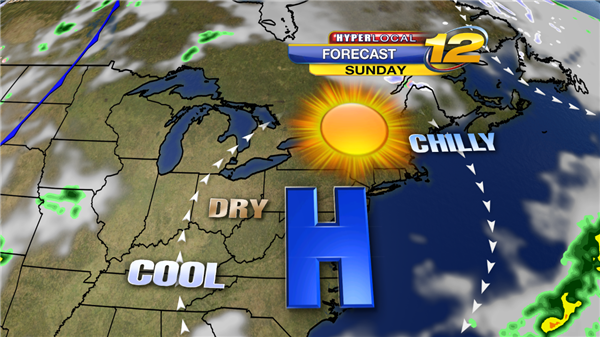 Say good-bye to high pressure as a cold front moves in from the Midwest. 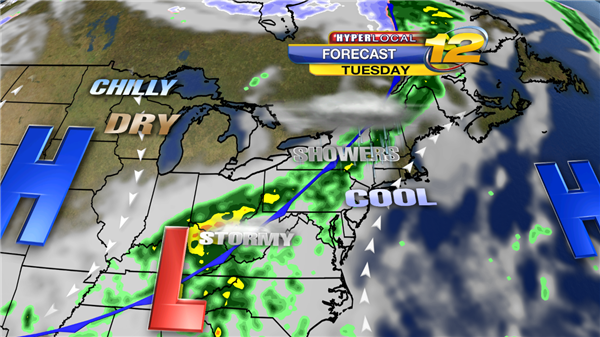 A cold front will bring increasing clouds and showers that may be heavy at times on Tuesday. We could see periods of heavy rain Tuesday afternoon. 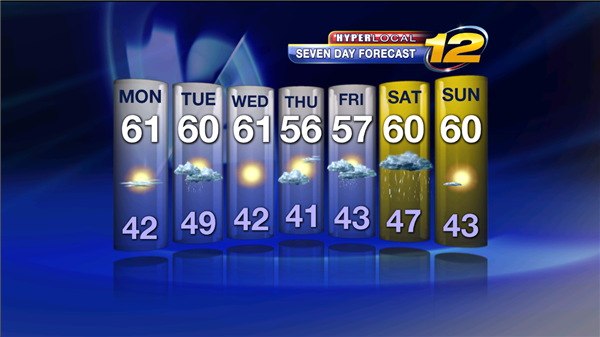 Temperatures will be above average for most of next week. 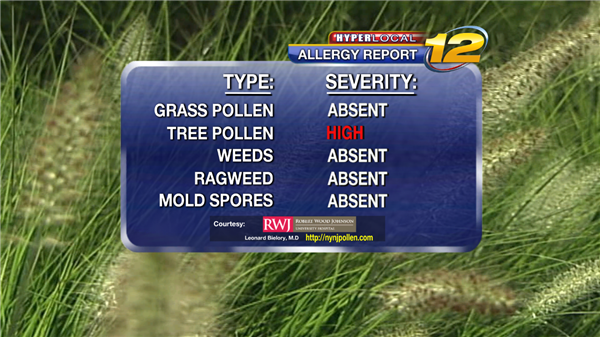 The predominant pollens are: Juniper, Alder & Poplar. 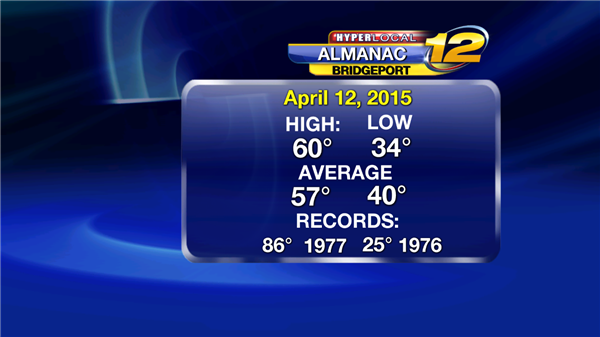 Temperatures were 3 degrees above average at Bridgeport. It was a chilly start to our Saturday. 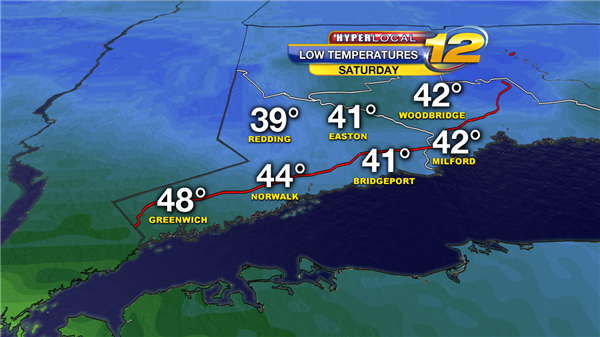 We had comfortably cool temperatures for Saturday. 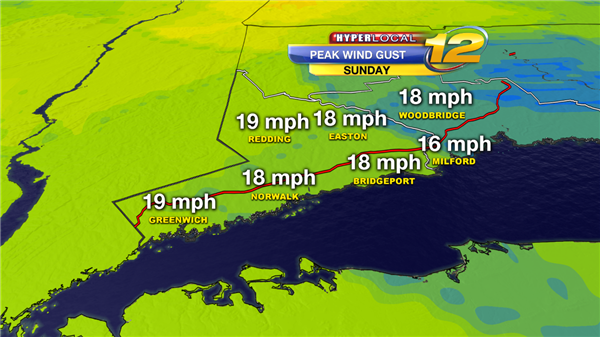 Winds will begin to relax tonight. 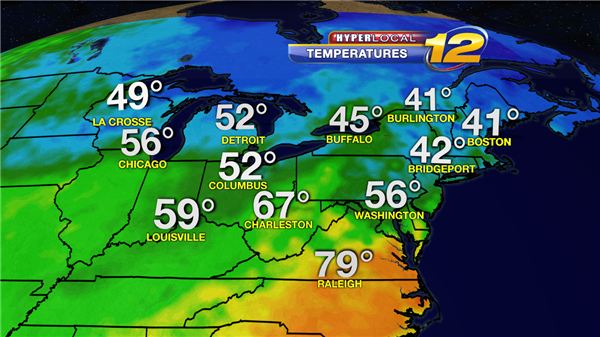 A chilly air mass returns tonight. 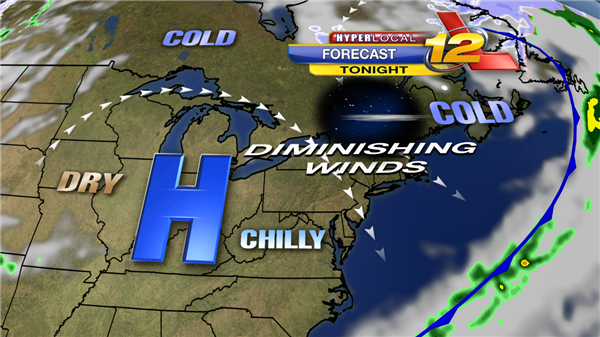 High pressure will give us a mostly clear sky and west winds for tonight. Get ready for nice spring weather on Sunday. 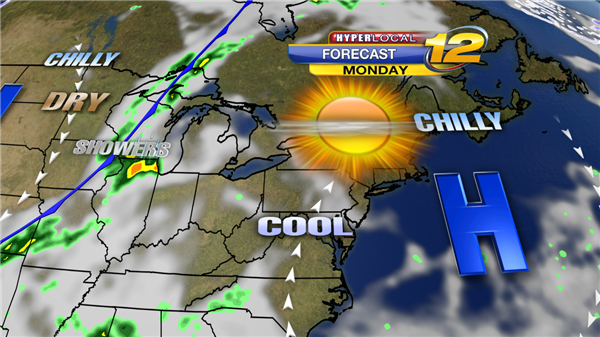 High pressure will move east allowing a cold front to move in from the west. 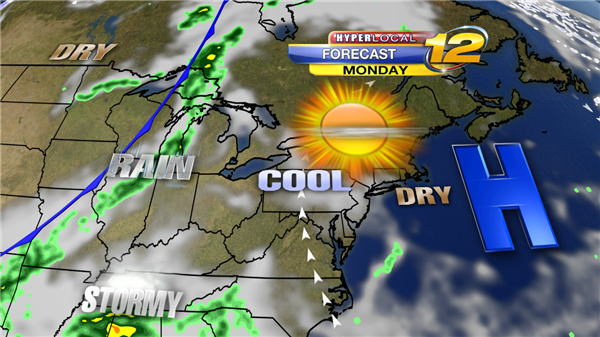 Clouds, showers and possible thunderstorms will develop ahead of the cold front. 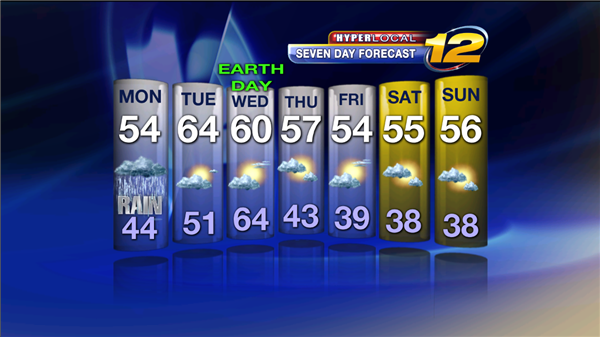 We could get periods rain that will be heavy at time beginning Tuesday morning. It looks like we'll have a comfortably cool week ahead of us. 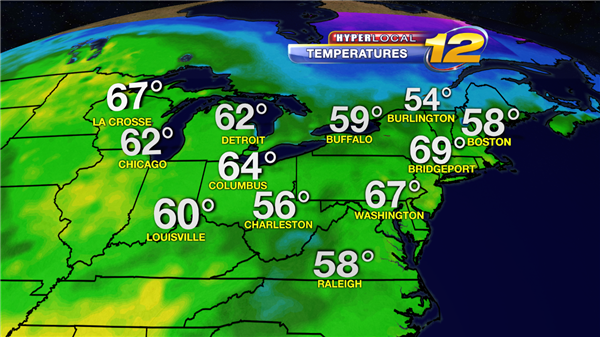 Warmer temperatures will arrive later this evening. Right now it still feels like winter with patchy dense fog and drizzle. A few scattered showers will be possible overnight and to start the day on Friday. 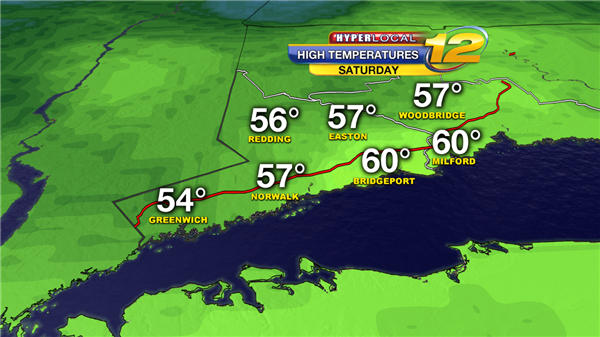 Temperatures will warm quite a bit with cloudy skies. 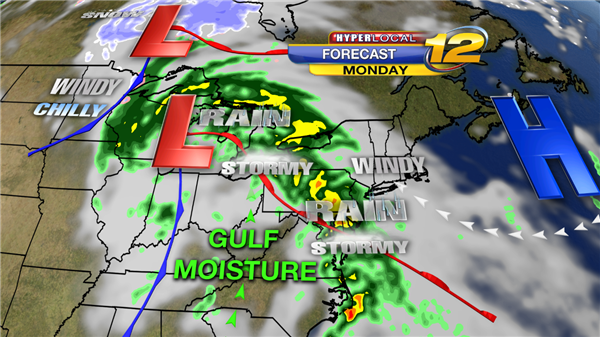 More widespread rain and storms will be likely during the evening ahead of a cool front. Severe weather is not likely and will end late Friday night. 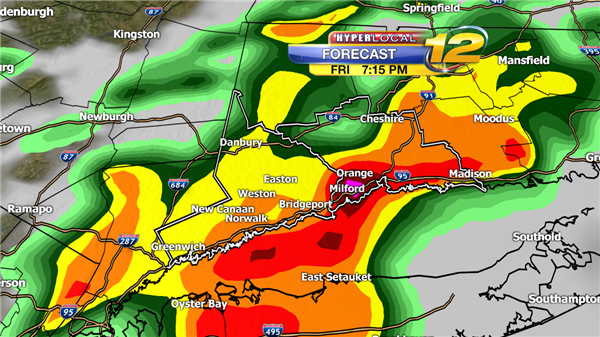 This is what the radar could look like during the evening with the heaviest rain along the coast.